So much news…including back to Sacramento! SEVEN had an acclaimed sold out performance in Sacramento in February. And now, due to popular demand, the play returns to the California state capital. 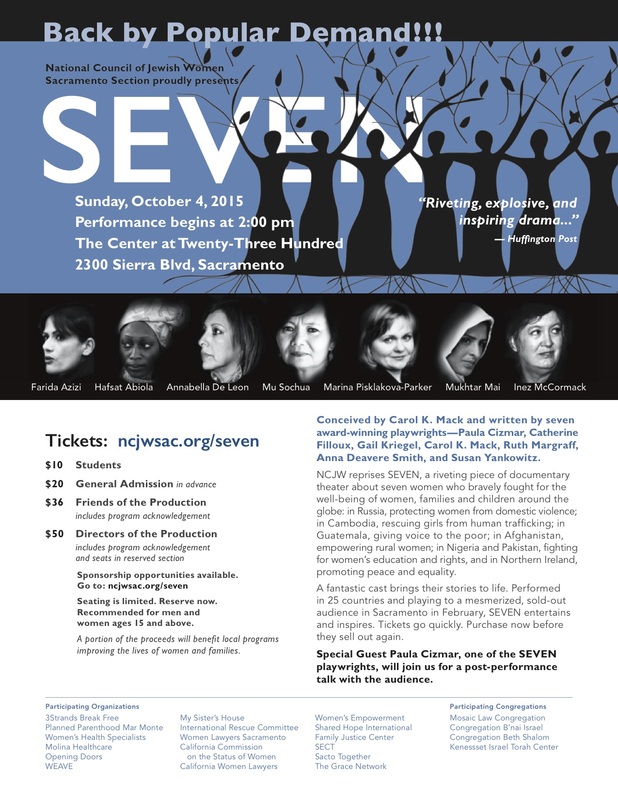 Look for SEVEN in October 2015, presented by the National Council of Jewish Women in association with local social justice and community service groups.